Intense, earthy sweetness with an aroma of fennel and anise. Buy in bulk or in 3.5 oz Classic Sized Tins. In Sanskrit, Licorice is called “Malathi” or “sweet stalk”. 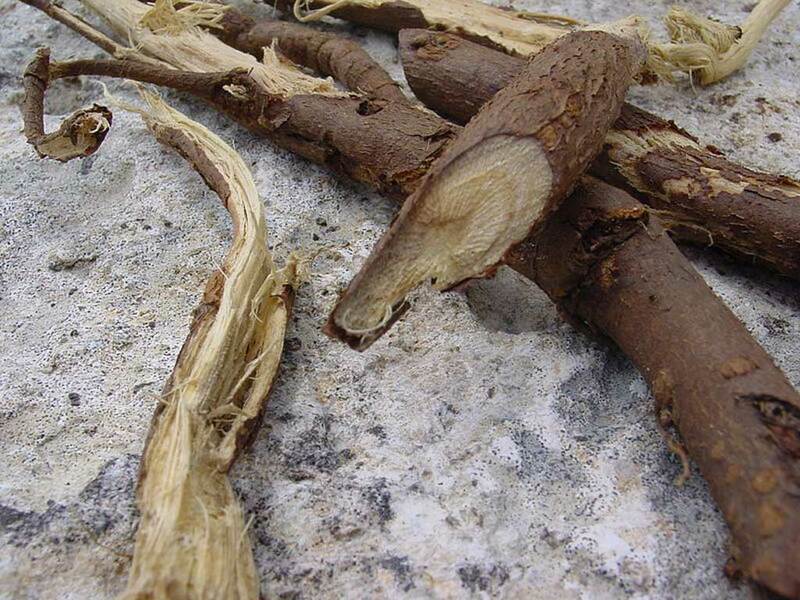 The Greeks named it “sweet root” and the Chinese call it “gan cao,” which means “sweet grass.” This intense sweetness can be traced to the glycyrrhizic acid found in the root. The varied properties of this molecule have been used in a number of forms: medicines, cough syrups, herbal supplements, gum, drinks, and of course candy. Licorice is a shrubby, woody-rooted plant with feathery leaves and light blue-violet flowers. It grows in the wild in many Middle Eastern, European, and Western Asian countries. The branching roots grow down as far as 3 feet and out laterally up to 20 feet. The aroma and flavor is sweet and comforting, reminiscent of anise or fennel, but considerably stronger. Caffeine-free. Ingredients: Certified Organic Licorice Root.